3 Gun is a gear-intensive sport not only because you need a pistol, a rifle, and a shotgun, but because of all the things that go with those guns. There are plenty of guides about how to set up your guns, but what about all of the other stuff? That’s what this guide is for! Below, I’ll cover all sorts of things you’ll need or want that aren’t directly part of making your guns run. Boy, doesn’t that look fun? We’ll be focused mostly on the popular “tac ops” or “practical” divisions with iron-sighted pistols and shotguns, and single optic rifles. A lot of the gear is very similar across all divisions, though, so you should be able to start making your wish lists with these suggestions, no matter what you shoot in 3 gun. Let’s get started going over everything you’ll need for a 3-gun match. 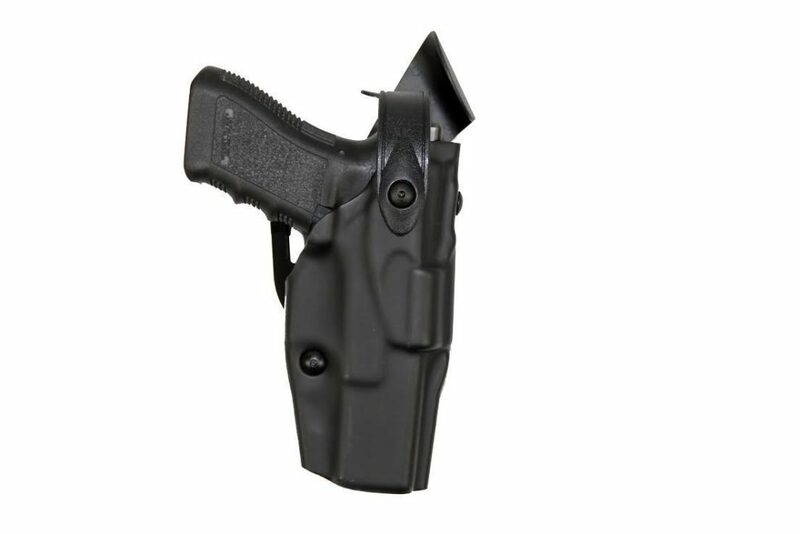 One of the most important pieces of gear you will need for 3 gun is a holster for your pistol. 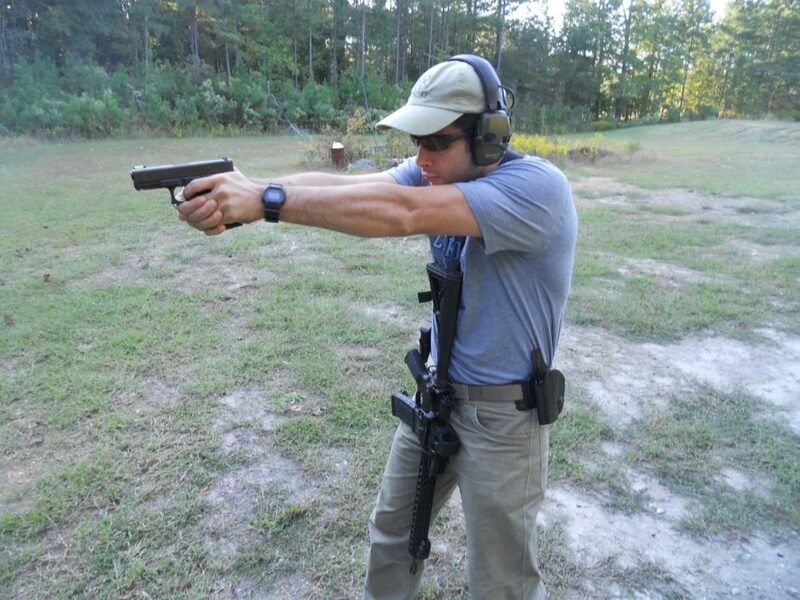 Many, if not most, stages will start with your gun holstered but you might not need it until after running around and shooting your other guns. Which means you have to do something with your other guns, usually they’ll go on a table or in a bin, but other times you’ll have them on your person till the end of the stage. 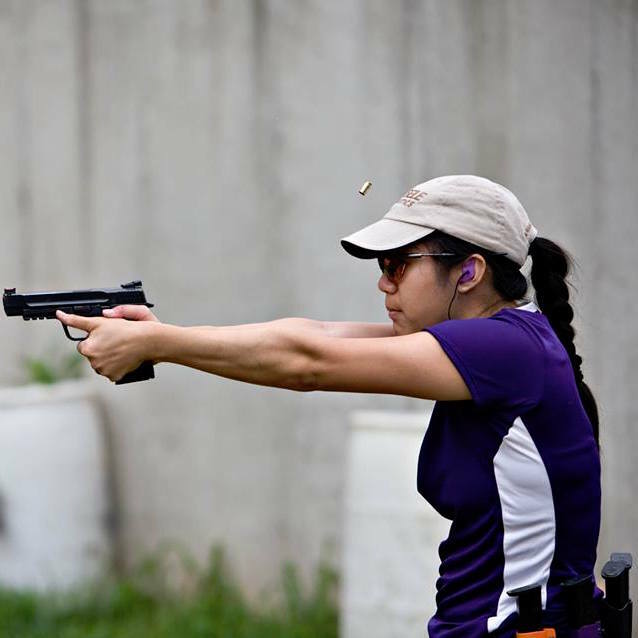 The consequences of having your pistol fall out of your holster are high – often a disqualification from the entire match. 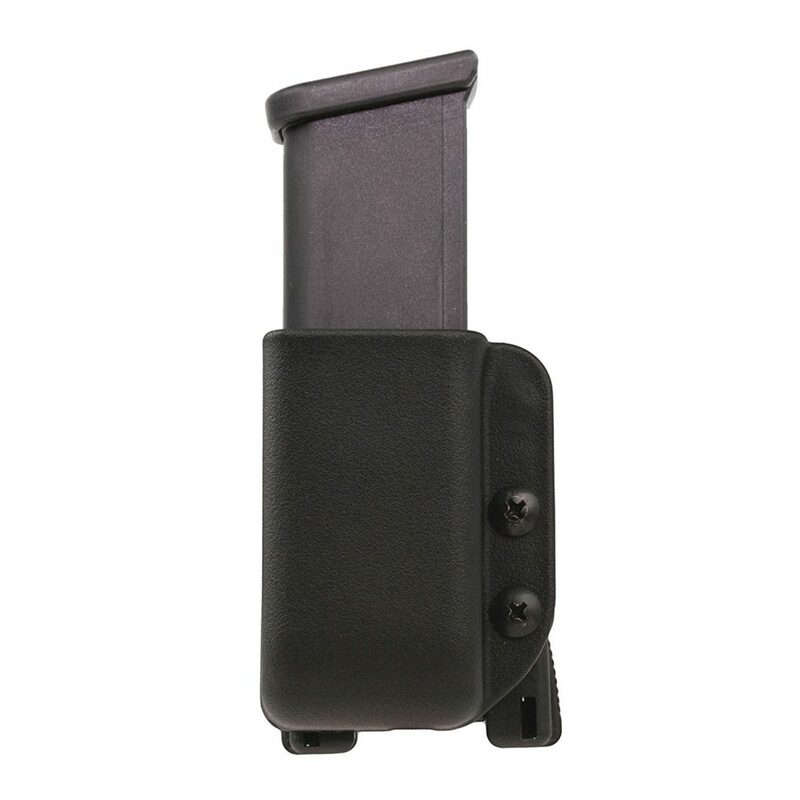 That’s why having a high quality holster that will secure your gun is important, and the gold standard is the Safariland 6360, a Level 3 retention holster that uses several locking mechanisms that are easily disengaged during your natural draw by pushing down with your thumb as you get your hand around the grip of the gun. Safariland was one of the first gear manufacturers to get into 3Gun, and that expertise and experience is on display in their ALS hoslters. In addition to carrying your gun, you will also need a way to carry magazines, both for reloads and because you may be required to start with an empty gun. Most shooters will carry two or three magazines on their belts, but I recommend getting single magazine pouches for the most flexibility. Something like the Blade-Tech Signature Series pouches are a good start. Don’t forget that one way you can reduce the number of reloads is to cram more rounds into your magazines. 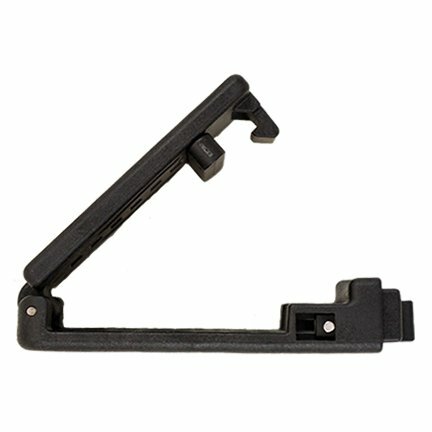 While larger magazines are available for some guns, another way to do this is to buy some extended base pads or magazine extensions, like the Taran Tactical Innovations Firepower base pads made for many popular guns. 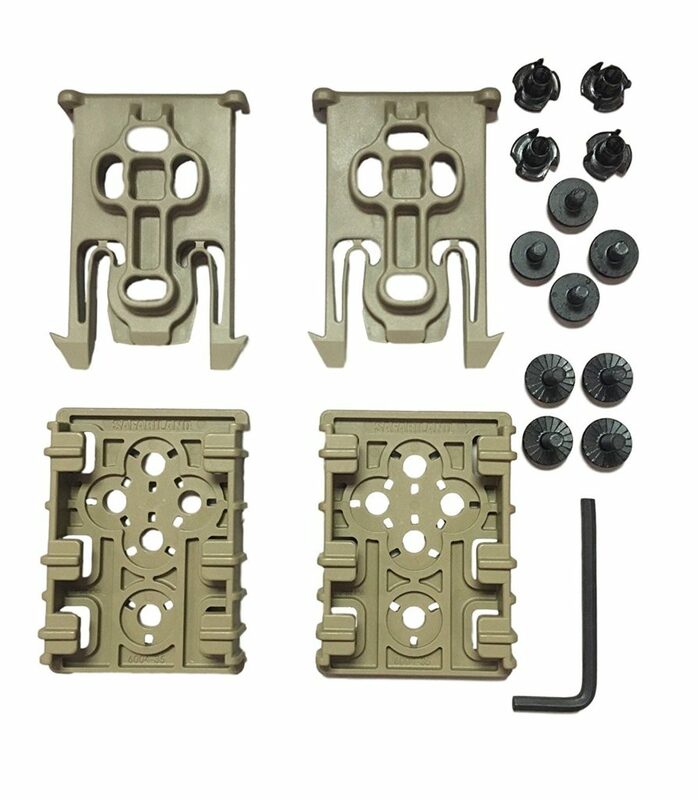 These attach to the bottom of your magazines in place of what came on them from the factory to make the magazines longer and able to hold more ammunition. Rifles in 3 gun need much of the same gear as pistols though you don’t, of course, holster them. You might need to sling one up to carry it during a stage, and we’ll get to that in a bit, but most of what you’ll need are ways to feed more ammo to your gun. 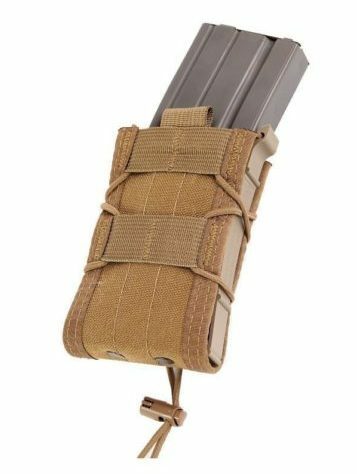 Hard plastic or Kydex magazine carriers are available for rifle magazines just like pistol, but you might also consider something like the HSGI Taco Mag Pouch ($34.00) that is low profile and will work for almost any .223/5.56 rifle magazine. Tacos also have the advantage of being easily modified to add more retention so that you can’t lose your magazines on very physical stages. Sometimes, instead of carrying an extra magazine on your body, you can carry two attached together, with one being used in your rifle and the other right next to it. 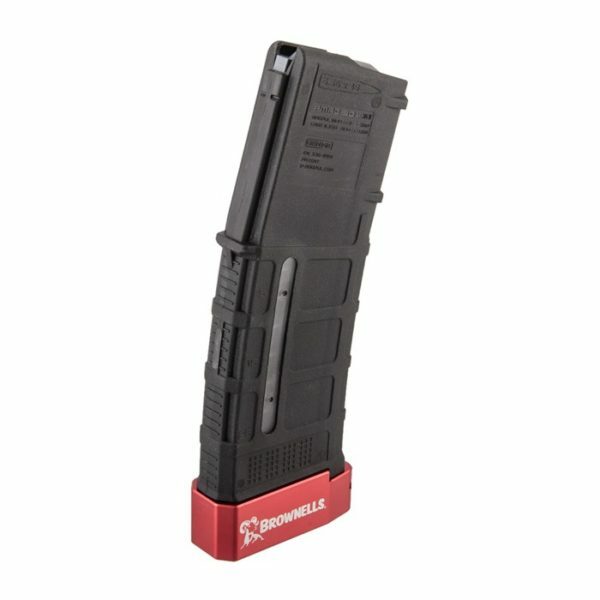 It will make your rifle heavy, but can be worthwhile because your extra magazine is already in place for a fast reload. To do this, you’ll use something called a magazine coupler, such as this one made by Lancer Systems. 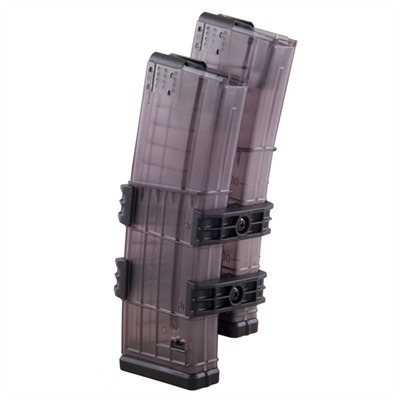 Again like pistol magazines, you might want to add extra capacity to your rifle magazines. Even if the number of rounds you can load is limited, having a base pad can make it easier to reload when there is a round in the chamber. It can even be helpful when you’re using the magazine as a support when shooting prone. 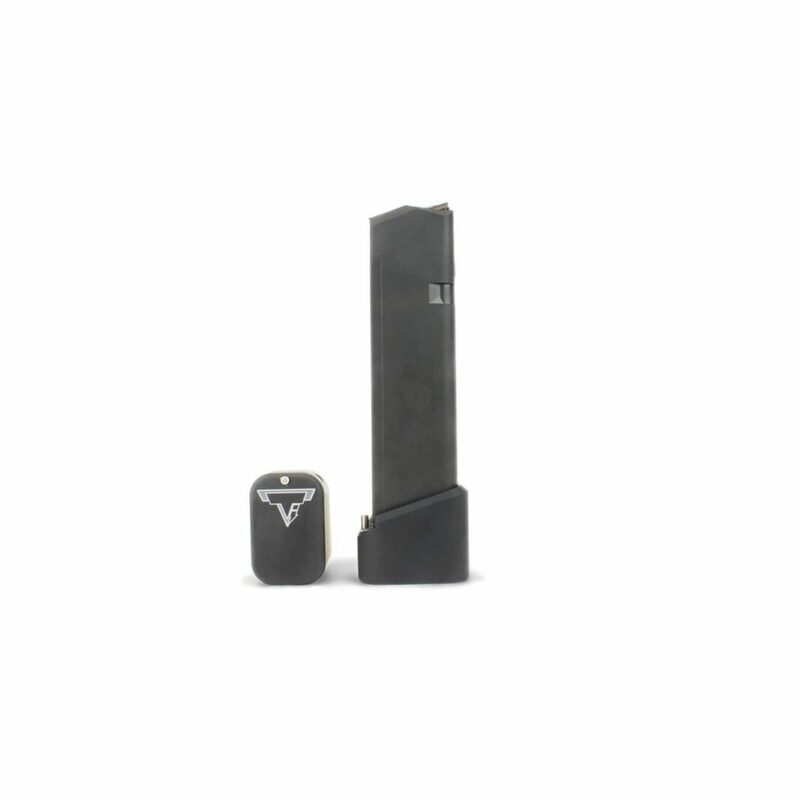 One of the most popular options is also made by Taran Tactical Innovations. Finally, there’s one more thing you’ll need for your rifle: a chamber flag. 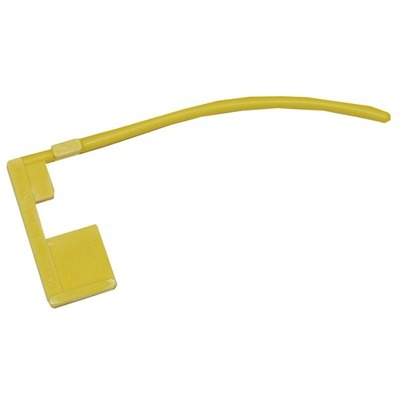 Usually made of brightly-colored plastic, these are necessary at many matches to show that your rifle is fully unloaded when you are moving it around on the range. You don’t need a fancy one and in fact, you might already have some free ones floating around. Bring them with you to your 3 gun match. Chamber flags are cheap, easy to find, and simple to use, but they dramatically increase safety at the range. As you can tell, picking out pistol and rifle gear for 3 gun is pretty straightforward. Shotguns are more complicated. First, the easy bit: you’ll need a chamber flag for your shotgun too. The standard cheap flags work, but I often have them fall out or break if a shotgun bolt comes down too hard on them, so I like the Chamber-View Empty Chamber Indicators here instead. As for when you’re actually shooting the gun, you’ll want to make sure you have a selection of shotgun chokes and a wrench to change them out. Your shotgun may have already come with some, and you can get by with just one or two. Being able to change your chokes can mean the difference between knocking down that far steel or getting pellets into more than one stationary clay target at a time. You’ll need to know how your shotgun patterns with the ammo you choose and different chokes, but if you’re not sure, a Light Modified or Improved Cylinder choke would be a good place to start. And finally, the most gear-intensive part of shotgun: dealing with ammunition. Since most shotguns aren’t magazine-fed, you’ll need to find a way to get all of those shells into the tube of the gun. 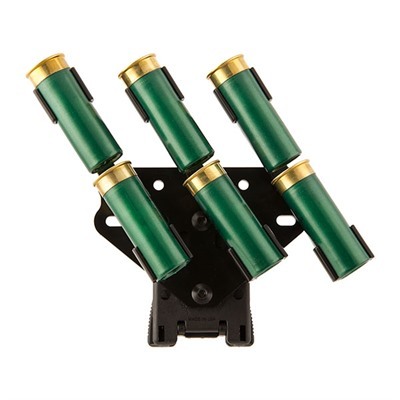 Right now, the most popular methods are load-2 (duo-load or twin-loading) and quad-loading, where the shooter grabs two to four shells lined up together and stuffs them into the gun. Many quad-load setups can be used for load-2 as well, as long as you’re careful about how you’re grabbing the shells. Either way, you’ll need to choose between belt-mounted systems or a chest rig that is entirely separate. 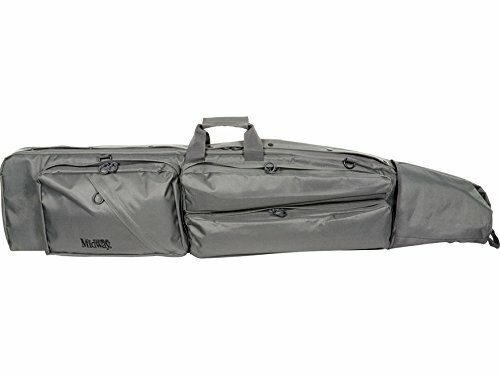 Belt-mounted systems like this Carbon Arms Pinwheel ($71.99) or the Invictus Practical caddies put the shells right at waist level – great for convenience, somewhat less great if you don’t have a lot of space because you’re small or if you’ll need to go prone onto your stomach at some point. 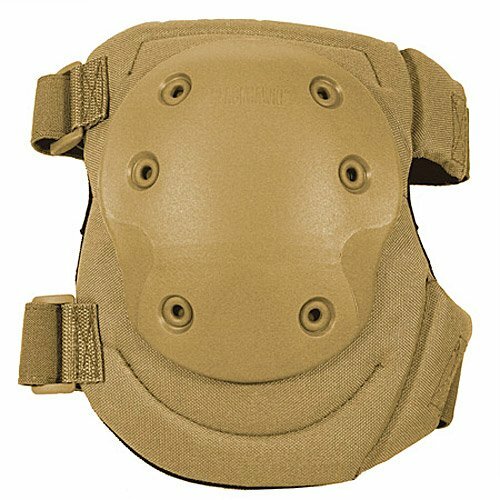 Chest rigs like this Taccom 20up Grab 4 ($84.95) system have the advantage of not using up that space on your belt. They can also be spun around so that you can carry your shells behind you when going prone and brought up front when you’re ready to blast with your shotgun. Sometimes, you might even be able to take the chest rig off entirely when you’re done with it and on your way to the next part of the stage. 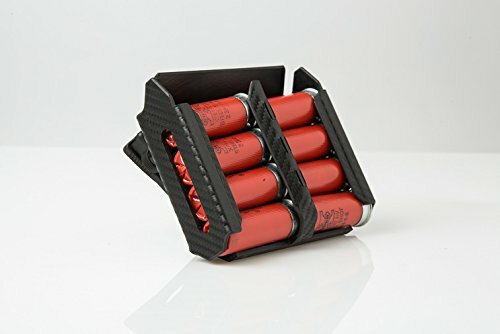 And you still might get some use out of a shell caddy attached to your belt, whether a double as shown below or one that just holds one column of shells. 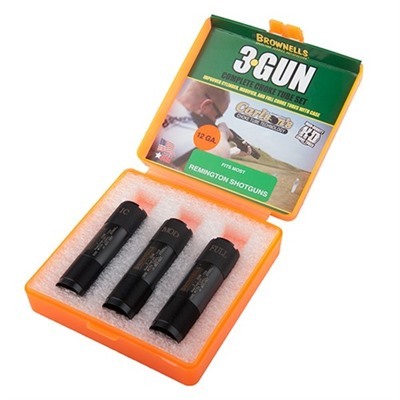 They’re great for specialty ammo like slugs or buckshot you may need for only a few shots in a stage. It’s also a lot harder for shells to accidentally fall out of this type of caddy than the load 2 and quad-load systems. And finally, what happens if the shotshells on your body just aren’t enough? Putting a “match saver” or “stage saver” on your shotgun might be the answer. It’s a way to carry just one extra shell so that you can more quickly and easily make up that last miss on a stage without having to go to your belt or chest rig. So now that you’ve got all this gear, how do you drag it around with you? 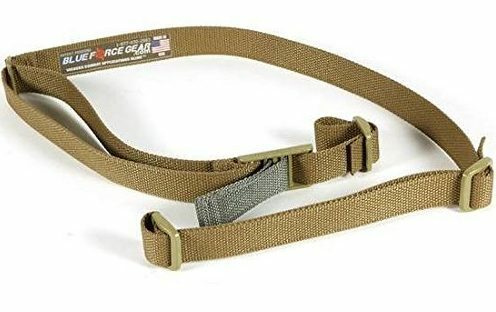 I recommend first getting one of the inner/outer belt systems to make it easier to get your belt on and off with all of your gear. With these systems, you have a soft inner belt that goes through your belt loops and a stiff outer belt that hooks onto it with Velcro. By attaching everything to your outer belt, you won’t need to fight to thread everything on, and it will make it easier for you to change your setup throughout a match. The Safariland 032 outer belt ($46.89) matched up to the Safariland 030 underbelt ($22.61) is a common solution, but you can also use a nylon set like the ones made by Blade-Tech for a little less money. What’s your take on the belt system? As for attaching everything to your belt, there are a few options beyond threading the belt through loops on your gear. One is to bolt a Blade-Tech Tek-Lok ($10.49) or Comp-Tac PLM ($9.49) to each item, then clip it to your outer belt. 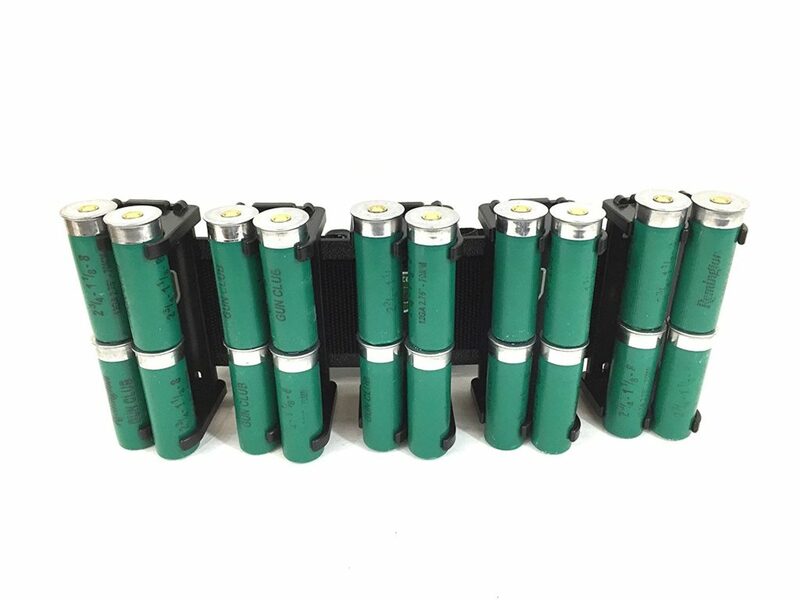 This is a relatively low-cost, flexible solution, but with the downside of needing to fit all of those clips on your belt and possibly having them shift around. I like adding a bit of Velcro to the backside to mate to the inner belt, and attaching them upside down so that I can take the clips on and off more easily by myself and without taking off my outer belt between stages. Somewhat easier to deal with are the modular systems like the Blade-Tech TMMS ($29.99) or the Safariland ELS ($27.99). 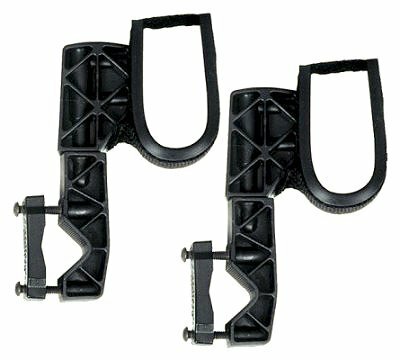 With these, you attach part of the mount to the outer belt and the other half to your gear. You take items on and off by sliding them in and out of the belt side of the mount. A little more hassle to set up, but much easier to work with during a match. For things you can’t carry on your belt or chest rig, like, say, your rifle and shotgun, you might need a sling. They’re most commonly used in those matches where you have to carry your guns with you through a stage, rather than stage them on a convenient table, but they are sometimes used to move your gear between stages too. Bonus: Be sure to check our our articles on choosing a sling, and how to get more accuracy by shooting with a sling. They let me keep all of my gear together in one spot, and they’re also great for getting all of your gear back into your car for the ride home. Carts are slightly more convenient to get things in and out of during the day, however, and they are certainly easier to push around the range. While you can spend the money on a specialty cart built just for 3 gunning, a more popular and budget-friendly option is to pick up a used baby stroller and bolt on some gun rack brackets. And finally! One last thing, I promise. Don’t forget to toss a set of kneepads in with your gear. They don’t need to be fancy, but they will save you on kneeling and prone stages, especially on hot summer days when you decided to show up in shorts. Wow – that was a lot! The amount of gear necessary to shoot 3 guns in a match can be overwhelming, but hopefully this guide helped you out with some of the basics, plus a few helpful extras. Just remember that before you buy, you’ll need to check exactly what is legal under the rules for the specific 3 gun matches you’re shooting. Also, there’s no harm in just competing with the best you have, or can easily afford. One of the chief barriers to 3-Gun is the price commitment, but you don’t have to go broke to compete in a match. Which piece of gear are you looking forward to adding to your setup? Is there anything we left out? Let us know in the comments! 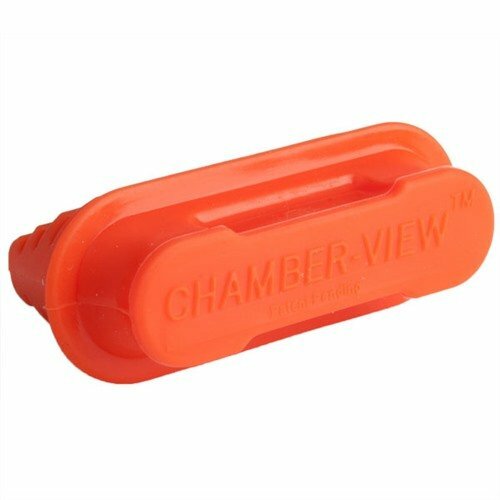 In case you’ve lost all of those free chamber flags that seem to come with every gun, you can also just buy a bunch of bright zip ties for cheap. Loop it around itself, and boom, instant chamber flag!